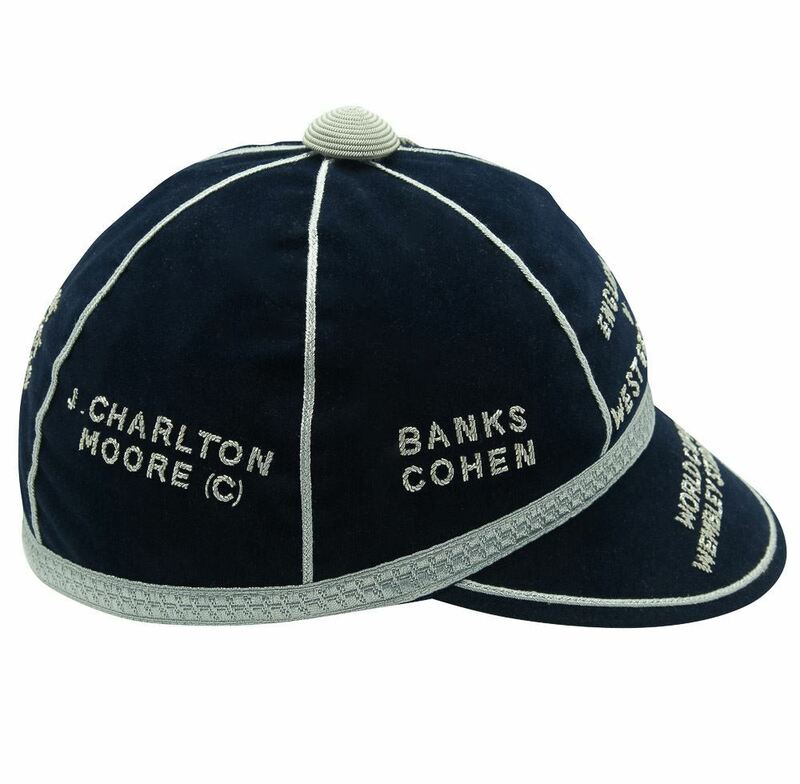 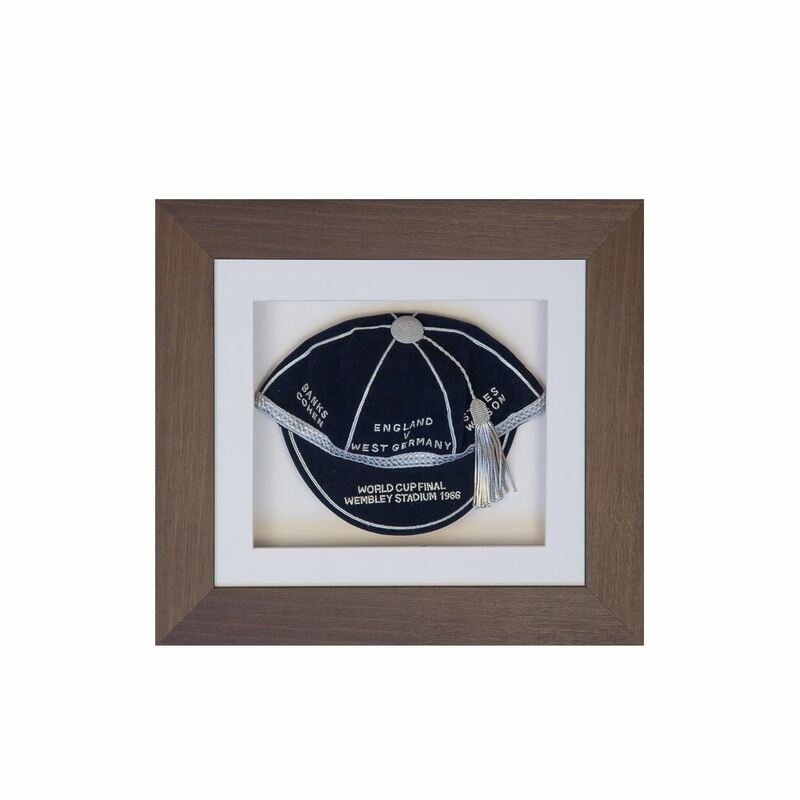 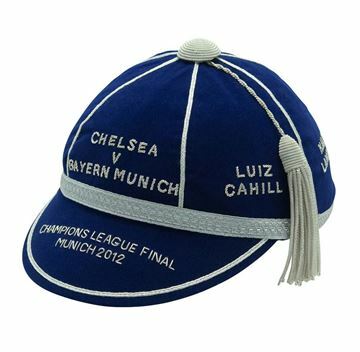 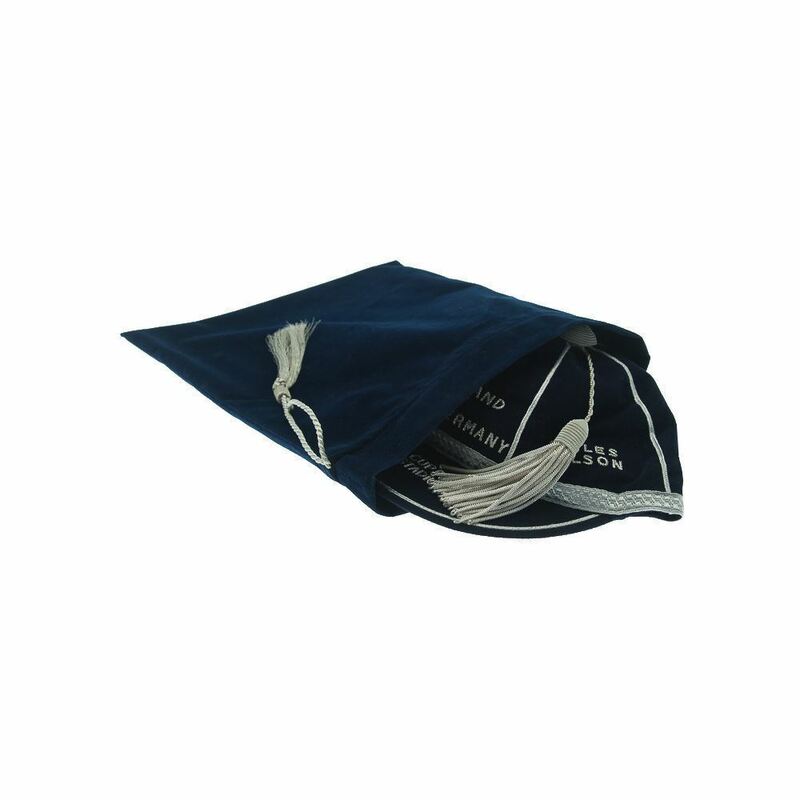 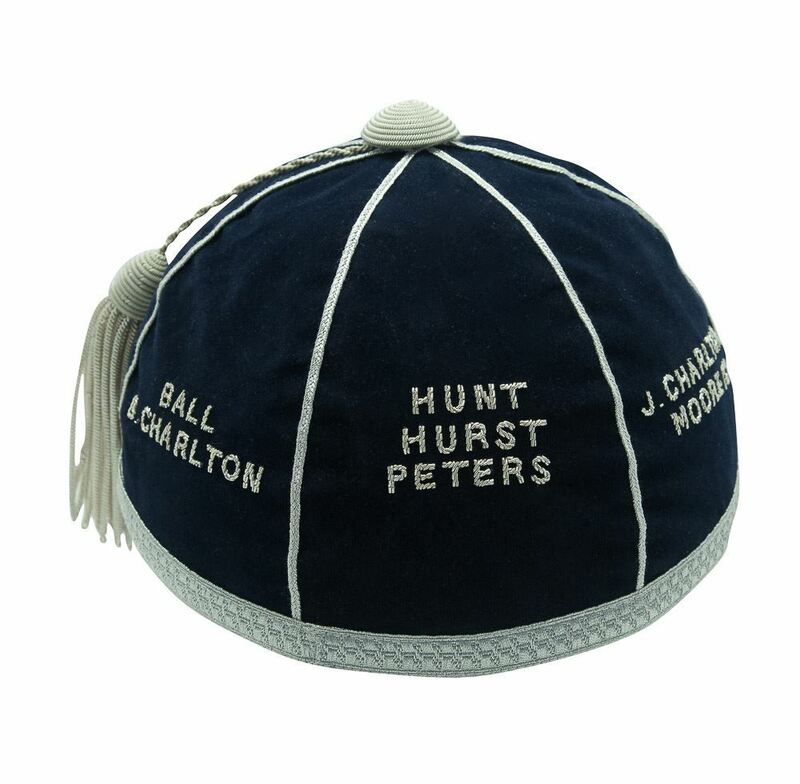 We have set the cap on a Navy Japanese Felt with a Silver coloured braid finish. 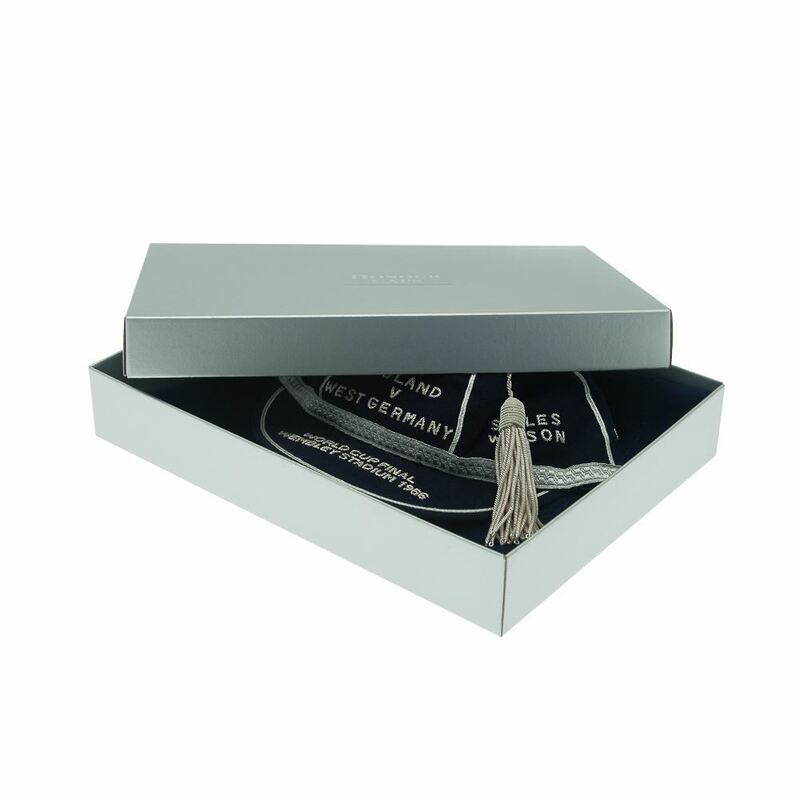 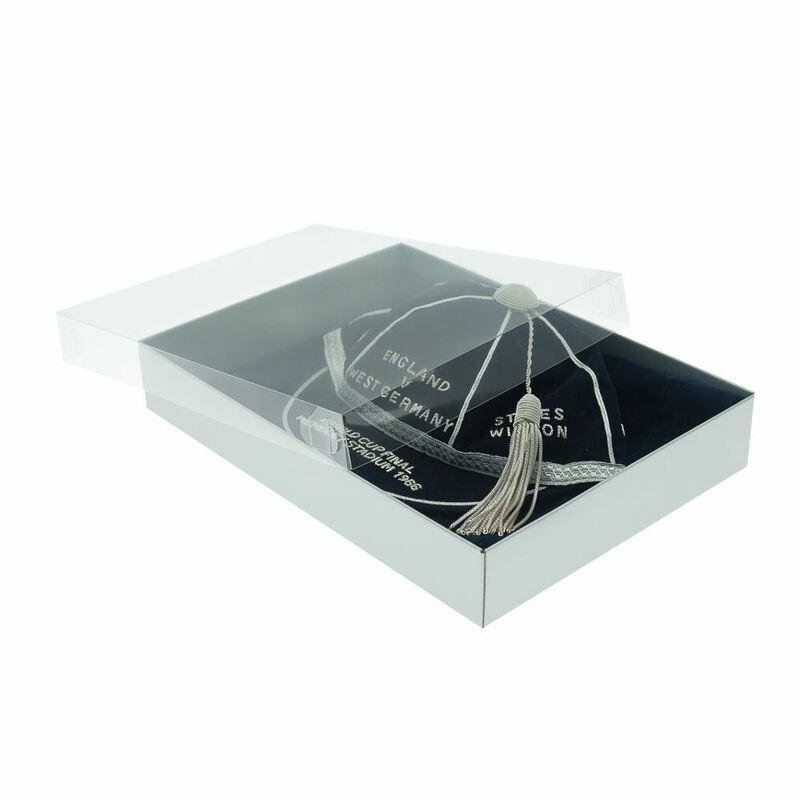 The trim is full 5 parts including tassel and the text is traditional wire embroidered. 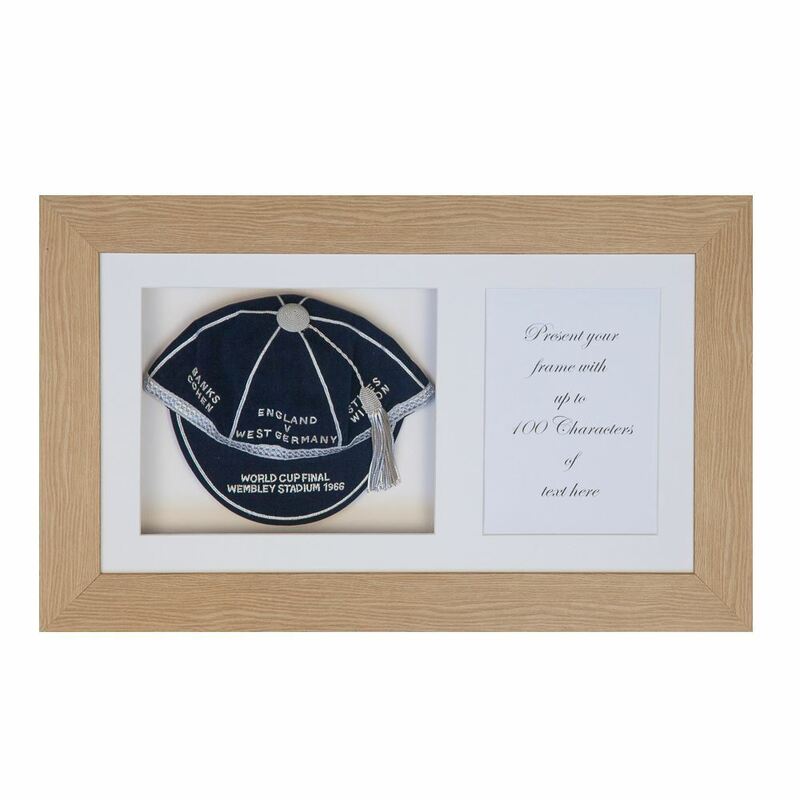 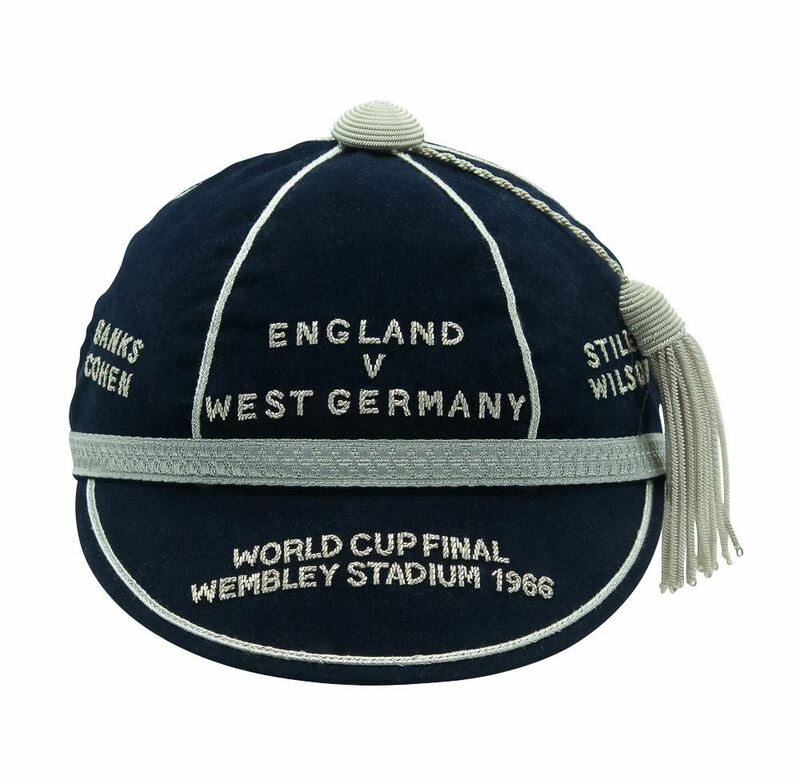 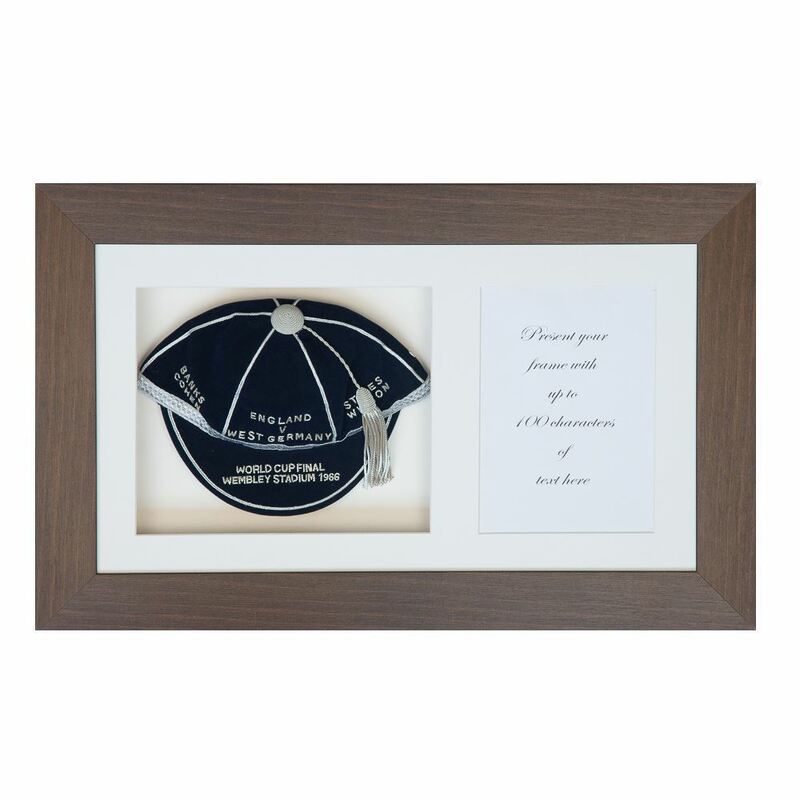 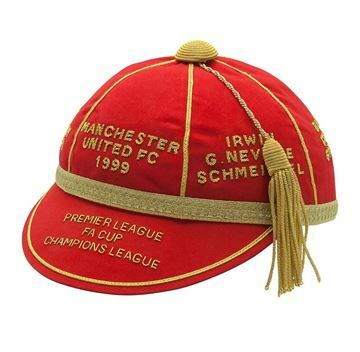 One of the greatest English sporting moments deserves to be commemorated with a full Honour Cap. 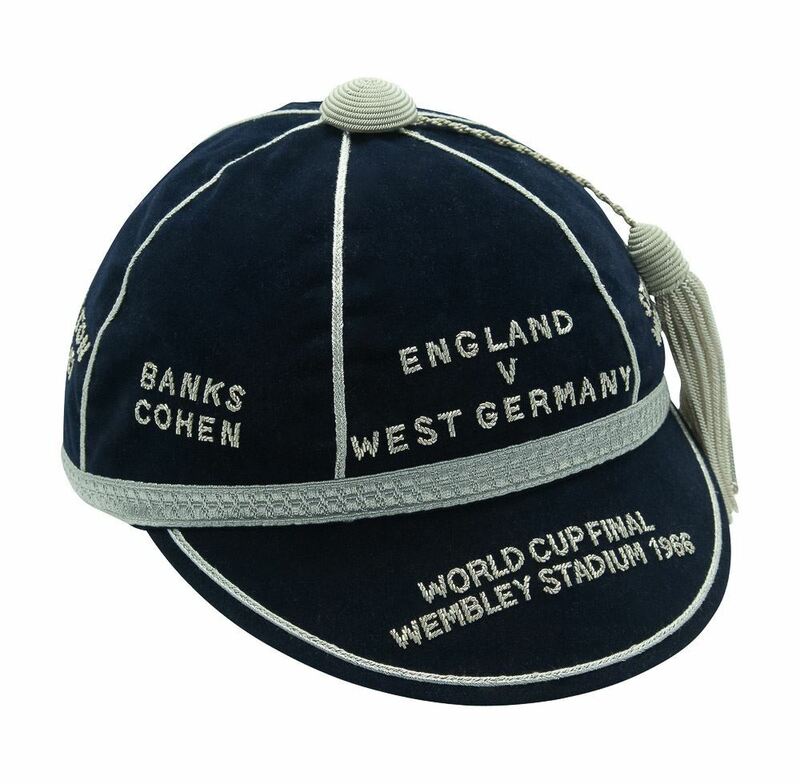 England hosted the tournament and eventually beat West Germany in the Wembley Final. 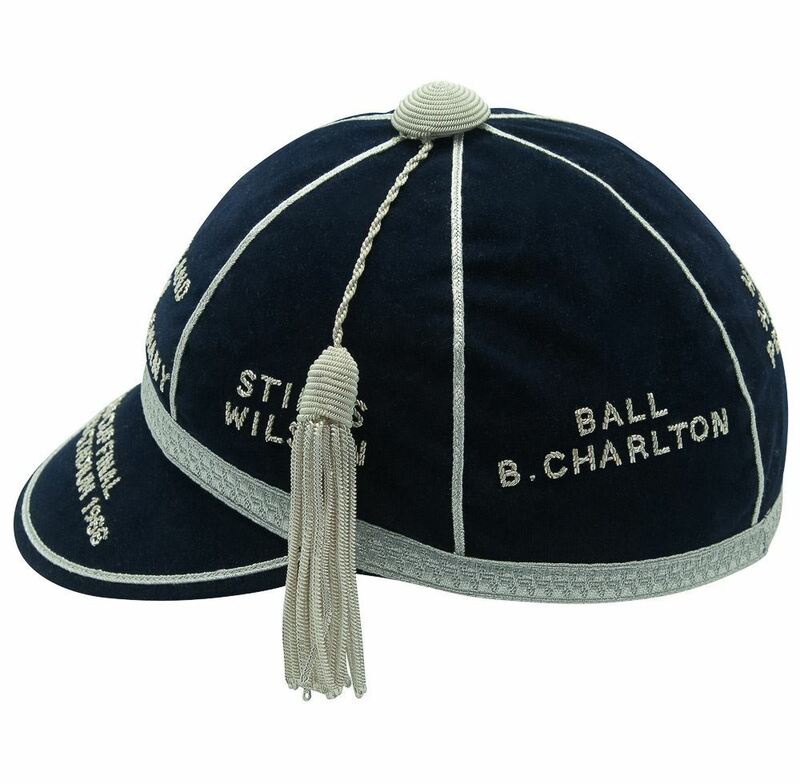 This cap is produced in singles and provides a unique finish with its handmade crafting. 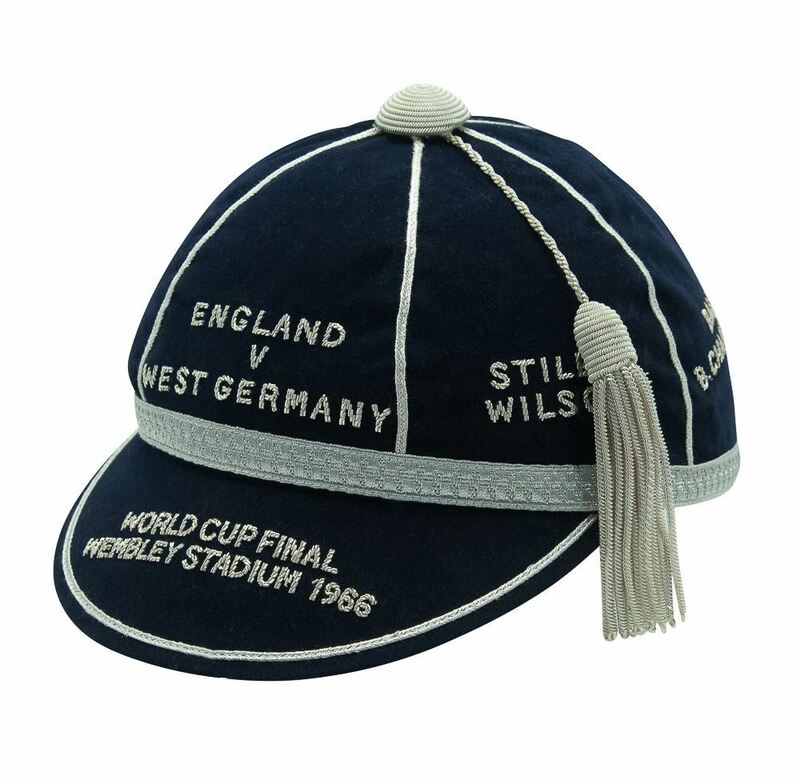 This particular design of the '66' cap is exclusive to Honourcaps.com.